^ Apostol, Tom M. An introduction to the theory of numbers. (Review of Hardy & Wright.) Mathematical Reviews (MathSciNet) MR0568909. American Mathematical Society. n.d.
^ Weil 1984, pp. 45–46. ^ Weil 1984, p. 53. ^ Tannery & Henry 1891，Vol. II, p. 213. ^ Tannery & Henry 1891，Vol. II, p. 423. ^ Weil 1984, pp. 80, 91–92. ^ Weil 1984, p. 92. ^ Weil 1984，Ch. II, sect. XV and XVI. ^ Weil 1984, p. 104. ^ Weil 1984, pp. 2, 172. ^ Varadarajan 2006, p. 9. ^ Weil 1984, p. 183. ^ Varadarajan 2006, pp. 44–47. ^ Weil 1984, pp. 177–179. ^ Edwards 1983, pp. 285–291. ^ Varadarajan 2006, pp. 55–56. ^ Weil 1984, pp. 179–181. ^ 27.0 27.1 Weil 1984, p. 181. Weil, André. Number theory: an approach through history – from Hammurapi to Legendre,. Boston: Birkhäuser. 1984. ISBN 978-0-8176-3141-3. 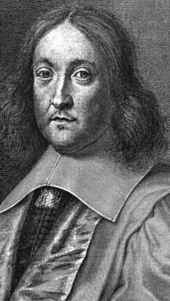 Mahoney, M. S. The mathematical career of Pierre de Fermat, 1601–1665 Reprint, 2nd. Princeton University Press. 1994. ISBN 978-0-691-03666-3. 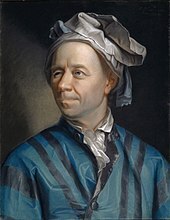 Varadarajan, V. S. Euler through time: a new look at old themes. American Mathematical Society. 2006. ISBN 978-0-8218-3580-7.